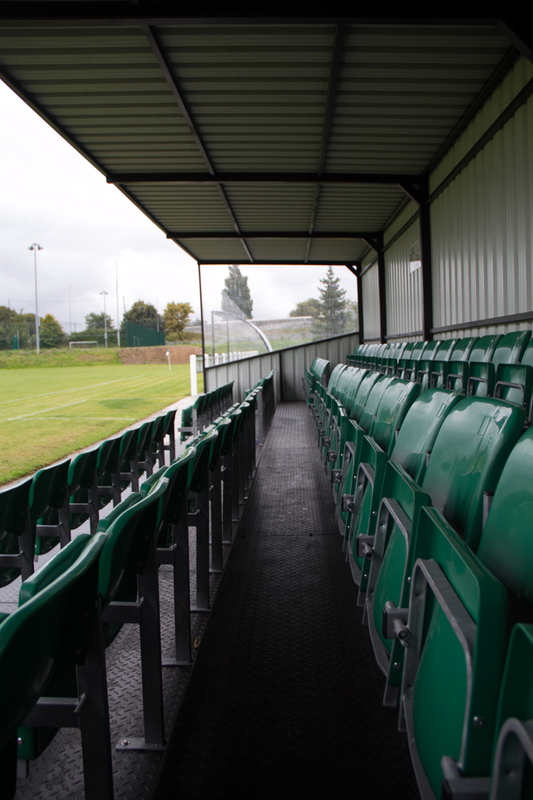 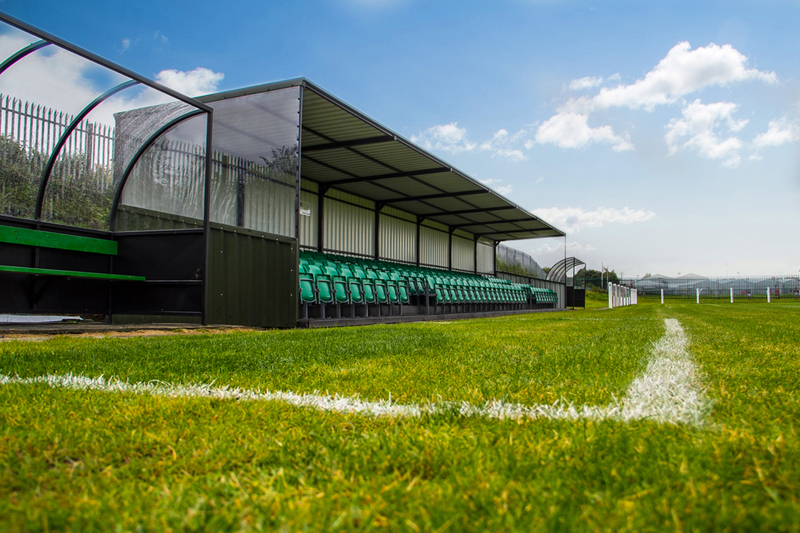 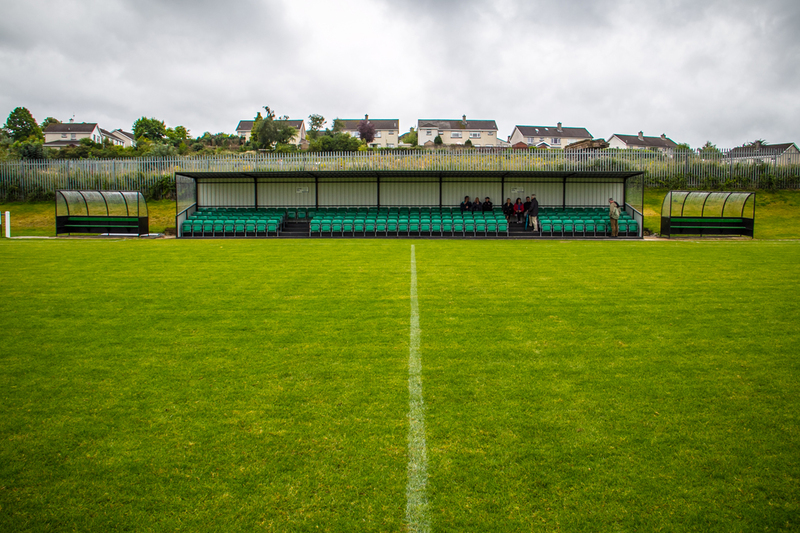 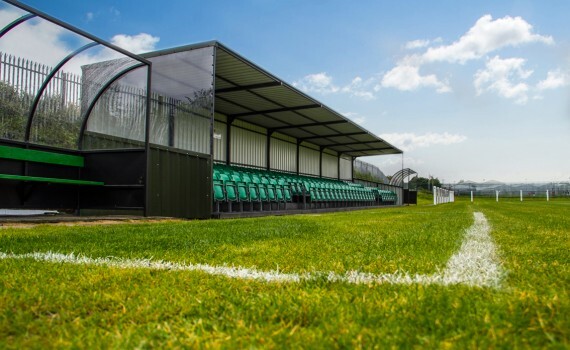 The Premier Grandstand is a simple, modular seating solution for sports grounds, The system is available in 42, 50, 58 or 75 seat units which can be joined together to create larger banks. 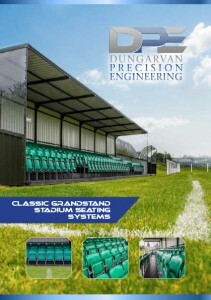 The Premier Grandstand is delivered to site in one piece and simply fixed down onto a concrete base. 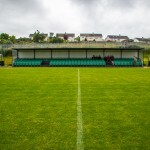 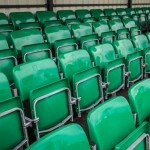 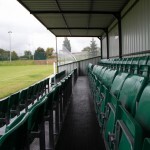 Fitted out with spectator seats to FIFA/ UEFA requirements. 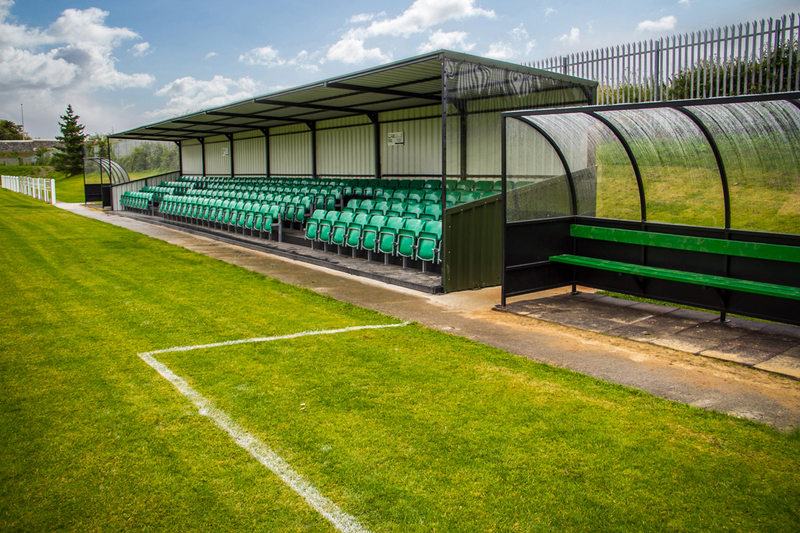 Galvanised seat frames for improved weather resistance. 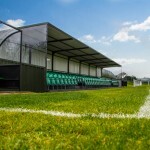 Sides can be fitted with rails, full cladding or partial cladding with perspex above. 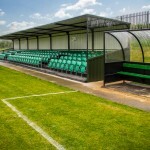 Security / anti-vandalism package available comprising mesh enclosures to protect stand when out of use. 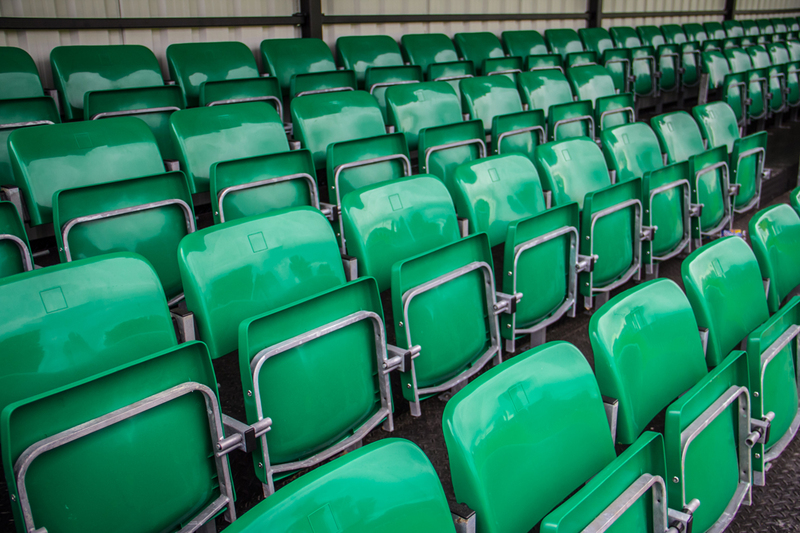 Seat colour, cladding colour and metalwork finish can all be chosen from our range; of colours to suit all needs.